Relocation listing. Fabulous 2 story, 5 bedroom, 3.5 bath, 3 car garage Kemp Homes former inventory home! 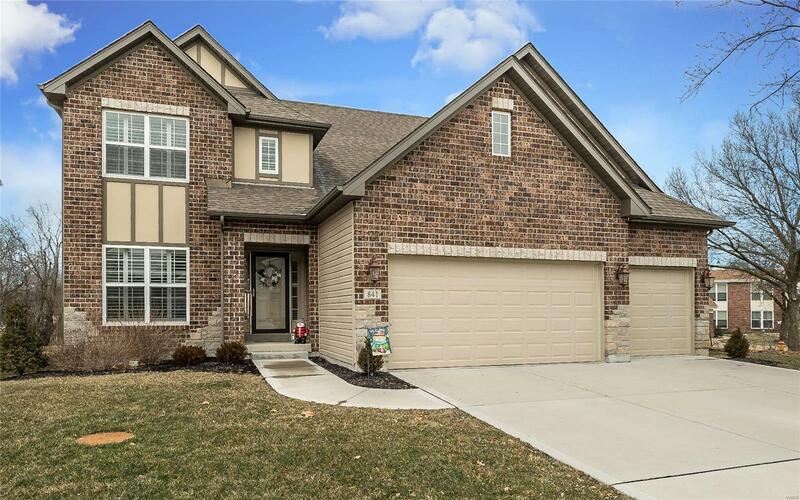 Open and airy floor plan with gorgeous kitchen with 42" Sasparilla cabinets w/crown molding, center island w/breakfast bar, granite countertops, gas range, hardwood floors, breakfast room, stainless steel appliances and walk in pantry. Fabulous great room with 36" direct vent gas fireplace flanked with built in cabinetry and 5bay window for extra light! Upstairs master bedroom suite w/coffered ceiling, adult height vanity in master bath w/separate tub, shower & toilet rm. Three large additional bedrooms with walk in closets. Loft area perfect for reading nook or office space. Lower level boasts large bedroom, rec room, 3/4 bath and an area for a bar! You will also find plenty of storage space. Nine foot ceilings, plantation shutters, professionally painted, level fenced yard, 30 yr architectural shingles, zoned HVAC and much more! All this one needs is you to make it home!